This parable in Luke is not an easy one to stomach. After all, its ending is pretty harsh. A rich man dies. In life, the rich man had ignored a poor and hungry man, Lazarus, who also dies. But Lazarus ends up in eternal comfort with Abraham via an angel taxi; the rich man ends up in Hades, in agony, burned by flames. Even when the suffering rich man asks for mercy, he receives none. A great chasm exists between the rich man and Lazarus; no one can cross over to comfort the man in flames. Neither will Abraham help the rich man’s family learn from his mistakes. There is no Christmas Carol, happy ending for Ebenezer Scrooge here. Not even messengers from the dead could warn the rich man’s brothers to save them from eternal torment. It’s a done deal. Now some have viewed this parable in the extreme sense of what we call works-righteousness, in other words, the idea that what you do to help the poor in this life determines whether you end up in eternal comfort or eternal suffering. Basically, in this view, we can buy our angel taxis and get to heaven if we try hard enough. But of course, that interpretation seems to forget about mercy and grace. Where is God in the salvation story, then? I think if we look at Jesus’ life and ministry as a whole, our interpretation of this parable will be wiser and more applicable to our lives. The rich man, like many churches, thought that he was living a righteous life and believed himself to be a true son of Abraham; however, his inability to have any empathy, compassion, or responsibility for Lazarus is what condemns him. Consider that the name Lazarus means God helps. God sees Lazarus’ needs; the wealthy man does not. The Sovereign Lord has filled me with his Spirit. He has chosen me and sent me To bring good news to the poor, To heal the broken-hearted, To announce release to captives and freedom to those in prison. The kingdom of God belongs to them—not just in the life to come, but in this life. That’s what I want to focus on here. This life. People are hungry, oppressed, marginalized, and ignored in this life. There are Lazarus people all around us—licking their wounds, hungry and thirsty—seriously in need of some help. According to Jesus, we are to invite them into our lives—not because we get something out of it, but because it is the right thing to do. I do not doubt that this story of a rich man and a poor Lazarus is difficult for many church goers in the United States. I don’t doubt that a churches [like the one I serve] with very limited financial resources might be more concerned with an endowment fund or a building than with people in the community who suffer from poverty. I’m not ignoring just how difficult of a message this parable gives us. But like Lazarus, we cannot ignore the message. The majority of churches in the U.S. are made up of people with quite a bit of material wealth. It is just a fact. The majority of churches spend more time in meetings talking about ensuring their financial futures rather than participating in the good news work of lifting up the least of these in society. Religious leaders lose sleep at night—not because people are poor—but because they worry about the church paying its mortgage, staff salaries, and program expenses. The truth is that the church contributes to the insane inequalities between the rich and poor. We must admit that we are part of the problem and often allow this chasm, this gap to be perpetuated. And that is what the parable is saying. The oppressed, the Lazarus people—they are all around us. And we cannot ignore them. They are not programs or projects. And we ought to focus on helping them, not because it makes us more pious, but because it is the right thing to do. Jesus says so. God says so. We feel it in our bones, in our hearts—we know it in our minds. Here’s the thing—when we as people humble ourselves to lift up someone who is down, theological, social, denominational, religious, cultural differences—they stop being obstacles. If we focus on doing the right thing and just helping people who need our help—imagine how much that can transform our way of thinking. Rather than being so caught up in our own petty problems, we may actually find real purpose in being part of a faith community. It won’t be about obligation, but about acting in love and compassion. And in doing so, we will care more about what people in our communities and world need. Jesus taught his followers that they were to break chains of injustice. Following Christ was about helping others get out of a vicious cycle of poverty, abuse, oppression, and suffering. Speaking of vicious cycles, around the world, food insecurity is a real problem. In short, people don’t have enough to eat. Sometimes we make the mistake of assuming that families with low incomes that hang out consistently at McDonald’s or Popeye’s seem to be doing just fine. They have enough to eat. But what we’re forgetting is that food is about nutrition—healthy life. The real question in this country and around the world is: who does not have access to real food? Fruits, vegetables, grains, and healthy proteins. Fifty million people in the U.S.—that is one in four children—do not know where their next meal is coming from. This issue is presented in the recent documentary film made by directors Kristi Jacobson and Lori Silverbush. 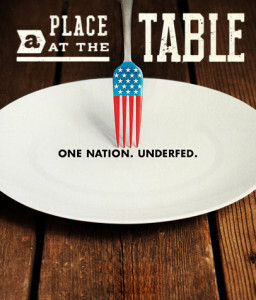 A Place at the Table examines the issue of hunger in America through the lens of three people struggling with food insecurity: Barbie, a single Philadelphia mother who grew up in poverty and is trying to provide a better life for her two kids; Rosie, a Colorado fifth-grader who often has to depend on friends and neighbors to feed her and has trouble concentrating in school; and Tremonica, a Mississippi second-grader whose asthma and health issues are exacerbated by the largely empty calories her hardworking mother can afford. A Place at the Table shows us how hunger poses serious economic, social and cultural implications for all of us, and that there are actual solutions to this problem. But we must decide that making healthy food available and affordable is in the best interest of us all. And it is the right thing to do. Let’s watch a bit of the film and learn about Barbie Izquierdo, Philly native. How can we notice Barbie and all the other Lazarus people in our community? As I often remind us all, we need to take action, but take action in a way that actually makes a difference. Sometimes we over-spiritualize things and get caught up in church bureaucracy and such. But we will all be better suited to partner with local, national, and worldwide organizations that understand the issues and have dedicated their time and resources to flip the statuses of those who are called poor. Where I live in Greater Philadelphia, there are organizations like Manna on Main, Philabundance, and Philly Food Share are well set up to help. But they need our help. Sometimes they need our time and our hands and feet. That’s all. Sometimes they need our voices so we can mobilize more people. Sometimes they need information so they can better serve our communities. And sometimes they need our financial resources. They are a myriad of resources available to us, including the UCC’s guide Just Eating: Our Faith at the Table. Throughout the year, we can partner by participating in One Great Hour of Sharing, Ecumenical Advocacy Days, and Crop Walks. The UCC also works with Bread for the World, and international organization committed to battling poverty, and Church World Service. And look–it should end with action and not with some theological viewpoint. Lazarus is all around us and most of the time, Lazarus is in a terrible situation because of the imbalance of our societies. We all have a responsibility to help. 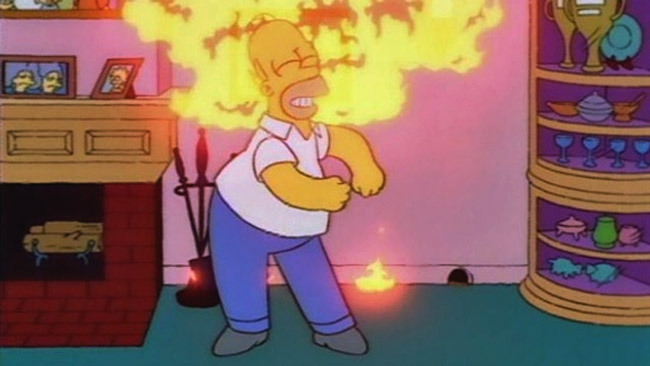 It’s not the threat of burning in some eternal fire that should motivate us. …and a place at the table.